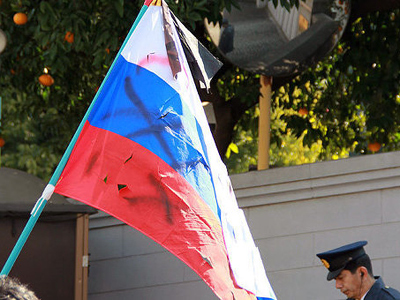 Russia’s Foreign Ministry on Wednesday said it will ban two Japanese nationalist organizations from entering the country after Tokyo refuses to re-open an investigation into last month’s desecration of a Russia flag. The incident, which was caught on video outside of the Russian embassy in central Tokyo, was part of a Japanese protest against Russia's possession of four Pacific islands that Japan claims as its territory. Members of the nationalist movement Dai Nihon Chusei Doshikai (“Society of Comrades Loyal to Great Japan”) “committed an act of hooliganism against the Russian flag," ministry spokesman Alexander Lukashevich said in a statement. According to Japan’s Chief Cabinet Secretary Yukio Edano, however, no laws were violated in the incident, and Tokyo refused to investigate the incident further. Before moving to place a ban on the two groups, the Russian Foreign Ministry protested Tokyo’s decision with the Japanese Embassy in Moscow, and the Russian Embassy in Tokyo had filed a similar protest with the Japanese Foreign Ministry. "We are convinced that no person with any self-respect in Russia and no Russian nongovernmental organization would want to stain their reputation by having contacts with the abovementioned structure,” Lukashevich said. A status of persona non grata was also imposed on the so-called Solidarity League for the Return of the Northern Territories. Russia’s Foreign Ministry responded it had no choice but to ban the Japanese nongovernmental organizations responsible for the criminal act. "The Russian side has already qualified that offensive radical act as hooligan and outrageous and has insisted on an investigation and on strict punishment for those guilty of insulting the Russian national symbol,” Lukashevich explained. “However, the Japanese authorities, despite obvious facts supported by video footage, have not recognized that act as illegal." 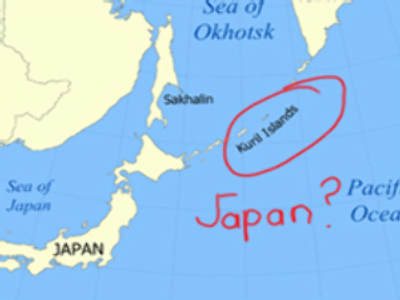 Meanwhile, the statement from the Foreign Ministry accused the Japanese side of an “extremist anti-Russian act” that was prompted by “groundless territorial claims” on the part of the Japanese authorities. "It must be mentioned that the condoning attitude of the Japanese authorities to the persons who publicly committed an extremist anti-Russian act has become possible in an environment where groundless territorial claims on Russia have become radicalized and are being hyped with support from the Japanese authorities,” Lukashevich said. 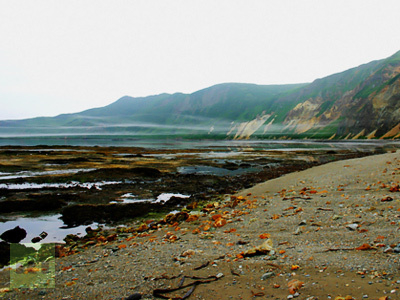 The controversy over the Kuril Islands (known as the “Northern Territories” in Japan), which moved to Russian control following the end of World War II, has been a considerable barrier to normal relations between Moscow and Tokyo. To underline the simmering tensions, the two countries have still not signed a formal peace treaty marking the end of Second World War. In November, Russian President Dmitry Medvedev paid a brief visit to the residents of Kunashir, the second largest island of the four islands, promising to provide more investment in the region. "We have an interest in people remaining here,” Medvedev said, who became the first Russian leader to set foot on the island chain. 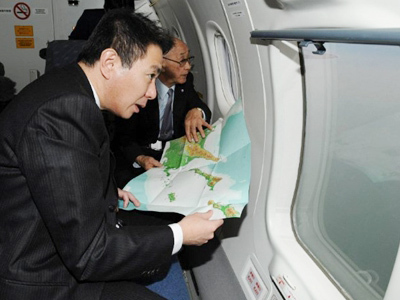 “It is important that there be development here, we will invest money here without fail." Japanese Prime Minister Naoto Kan criticized the Russian president's visit, as well as Tuesday’s announcement that Russia would deploy Yakhont anti-ship cruise missiles and the Tor-M2 missile shield to the Southern Kurils. 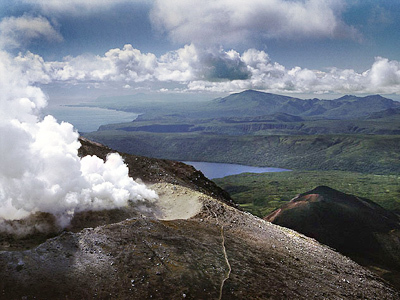 The islands are situated to the north of Japan's Hokkaido island and south of Russia's Kamchatka peninsula, and have rich fishing grounds, mineral deposits and possibly oil and gas reserves.